Distinguished guests from the ACG and “Education Unites: From Camp to Campus” community came together on Friday, April 27, to celebrate the successful completion of the refugee students’ academic program. The seeds for this idea were planted nearly two years ago by the U.S. Embassy of Athens to American institutions in Greece, and the project came to life with impressive outcomes. The program gives the opportunity to refugee students to continue their education; provide them with knowledge, skills and academic credits they can use either in Greece or in any other European country they move to in the future. Lucy Kanatsouli, Dean of Enrollment and International Students, gave the opening remarks and welcomed the prominent guests before introducing President David G. Horner to the podium. 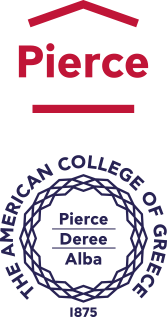 “During Smyrna’s Catastrophe, the ACG came to Greece as a refugee, making this project deeply personal for us” mentioned President Horner on a powerful note. He further congratulated students on their achievements and encouraged them to continue reaching for their goals. Monica Cummings, Public Affairs Counselor for the U.S. Embassy, had also the opportunity to address her gratitude to the ACG community that supported this successful project. Ms. Cummings added that the U.S. Embassy will maintain their collaboration with the American College of Greece aiming at a prosperous sustainability of the program. “Two years ago I didn’t have the ability to speak English, when I applied for this scholarship I told myself it’s impossible. But I stand before you all and say ‘yes I can speak English, yes I can break the impossible’.” highlighted during his emotional speech, refugee student, Majd Sayed. 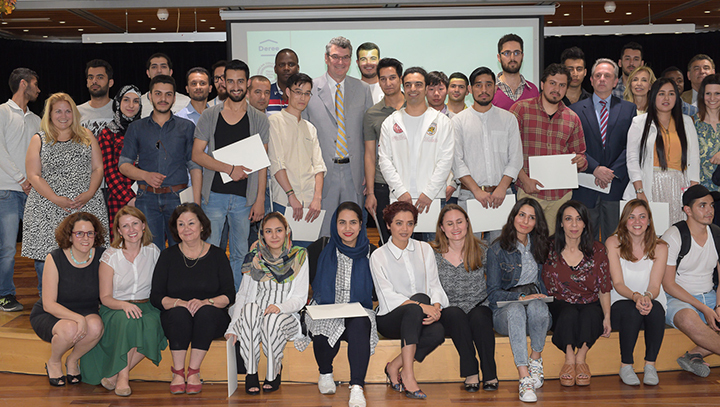 Refugee students were awarded with a certificate of completion recognizing their efforts and accomplishments. Dr. Dimitris Andreou, Vice President of Enrollment and Administration, gave the closing remarks and announced that a full scholarship has been offered to a refugee student by the Alba Graduate Business School, The American College of Greece, to resume his studies. V.P. Andreou discussed the ongoing fundraising efforts, both nationally and internationally, to support the sustainability of the “Education Unites: From Camp to Campus” program. He added that funds will be raised through multiple channels including Deree Open Fest 2018 and the fundraising initiated by upcoming graduates. Congratulations to all the students and wishes for a bright future!